Skin is probably the most important feature of your beauty and personality that needs to be well taken care of. And you don’t have to spend hours at the spa for that. Getting skin that is healthy, radiant and blemish free is not difficult to achieve. Follow these simple and practical beauty rituals for youthful, vibrant and healthy skin. Sleep therapy is very important if you want healthy skin. It is essential to get an 8 hour-long sleep every day. Staying up late until the morning leads to skin breakouts, not to mention those hideous dark circles under your eyes. According to Ayurvedic fundamentals, the most alleviating results can be achieved if you go to bed during the hours of 10 pm to 2am. Lemons are rich in antioxidants, Vitamin C and contribute to healthy liver functions. 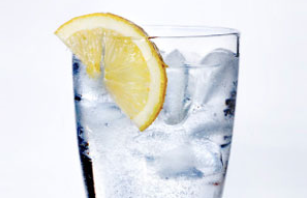 Drink a glass of water with fresh lemon juice in the morning for spotless, glowing and radiant skin. Also, drink plenty of water throughout the day to stay hydrated. Wash your face with a gentle cleanser or face wash and apply some moisturising lotion after you’ve washed your face. Washing your face, first thing in the morning is one of the most basic ways to secure healthy skin. 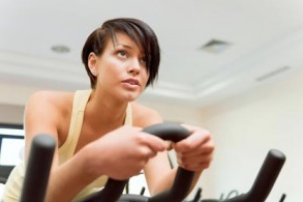 Getting regular exercise, to the point of sweating, is beneficial for your skin. A good workout, especially cardio, releases the toxins in your body, thereby oxygenating and stimulating blood flow, which improves your skin. Remember, you are what you eat! Your daily nutrition should consist of fresh fruits and vegetables. You need to cut down on dairy products and take lesser intakes of processed food. Your diet should also include plenty of Omega 3 fatty acids found in walnuts, flaxseeds, and salmon. Green juice is also essential for good skin. You could replace your morning latte with a glass of kale or cucumber juice, which is high in fibre and water content, to give you a healthy and glowing skin.